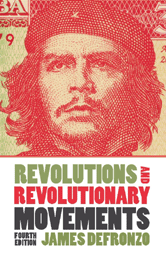 With crucial insights and indispensable information concerning modern-day political upheavals, Revolutions and Revolutionary Movements provides a representative cross section of the most significant revolutions of the twentieth and twenty-first centuries. ARE REVOLUTIONS DEVELOPING OR OCCURRING NOW? WHY WERE REPUBLICAN ADMINISTRATIONS SO HOSTILE?